Resource recovery company Axion has reported that for flexible plastic packaging to be recycled, an investment of £100m in collection, sorting and recycling is necessary for it to happen in the UK. According to Axion, around 414,000 tonnes of plastic-based flexible packaging, including plastic bags and pouches, are put on the UK market annually, making up 27% of consumer plastic packaging and ending up in landfill or energy recovery. 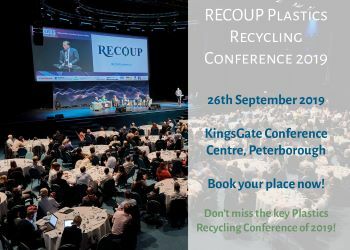 Axion head of circular economy Richard McKinlay said that the main problem is the lack of facilities designed to process this material and stated that if we are to increase the UK’s recycling rate and hit targets, “the recycling of flexible packaging offers potential environmental benefits”. Research from the R&D REFLEX project, led by Axion, found that 80% of post-consumer flexible packaging, which is either polypropylene (PP) or polyethylene (PE), could be recycled. This project is aimed at understanding and addressing the barriers to recycling this flexible packaging in the waste stream and developing a circular economy for this material. The Axion boss added: “We showed this technical feasibility on a relatively small scale with REFLEX but need to demonstrate it on a larger scale, ideally with a dedicated UK research project focussing on the collection of household packaging films. The investment, he suggested, could come from Extended Producer Responsibility schemes that would encourage brands to design for end of life in exchange for reduce compliance fees. Testing and research through the REFLEX project has allowed Axion to conclude that flexible packaging that has been designed for end of life can be recycled, but the facilities are needed for this to happen.